The characters in J. D. Salinger’s stories are always tap dancing expertly on one another’s nerves. They are bright Tarkingtonian people in Kafka’s dark world, full of high spirits and low boiling points. [Salinger’s] style, however, went marching on. I have been reading imitations of it dutifully for ten years. It was obviously irresistible to many members of a new postwar generation thrashing around in search of new attitudes. No imitator so far has come within a cable’s length of triumph. That is odd, you know. The sedulous apes should do better. They have a do-it-yourself kit of phrase-turning and fretwork in any book by Mr. Salinger–including the most copious use of italics since Queen Victoria’s letters. No go, though. Therefore it is a pleasure to read Mr. Salinger in the original again. 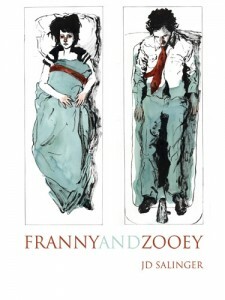 “Franny and Zooey” is better than anything Mr. Salinger has done before. It doesn’t lean on a familiar plot structure (adventures of a runaway boy, as in “The Catcher in the Rye”), though it has, instead, a fading sort of timeliness in that it presents retired electronic quiz demons. As children, Zooey and his sister Franny were public freaks.… Now, launched on their twenties, they are still freaks–and aware of that with a fearful, rueful sense of perpetual exasperation. In the first panel of this book Franny has a hysterically intellectual bust-up with her beau at the beginning of what was to be a college football week-end. In the second panel Franny is simmering on the edge of a complete nervous breakdown at home in Manhattan, where her brother Zooey has been angrily launching for himself a new theatrical career. But his influence, together with that of other ghostly or still living members of the family, is strongly felt in what I imagine everyone will soon be calling Mr. Salinger’s Glass menagerie. Long may the hatpins jab, long may the Glasses jabber. A miraculous vitality rides with their ritual-riddled despair. Few writers since Joyce would risk such a wealth of words upon events that are purely internal and deeds that are purely talk. We live a world, however, where the decisive deed may invite the holocaust, and Salinger’s conviction that our inner lives greatly matter peculiarly qualifies him to sing of an America where, for most of us, there seems little to do but to feel. 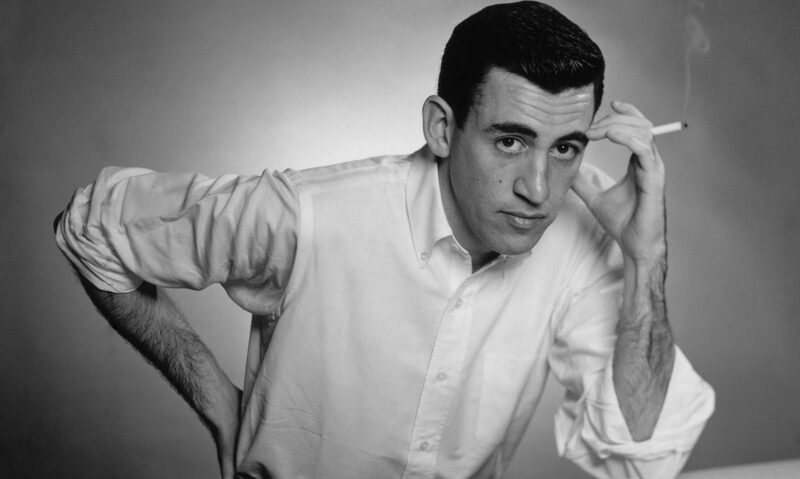 Introversion, perhaps, has been forced upon history; an age of nuance, of ambiguous gestures and psychological jockeying on a national and private scale, is upon us, and Salinger’s intense attention to gesture and intonation help make him, among his contemporaries, a uniquely relevant literary artist. As Hemingway sought the words for things in motion, Salinger seeks the words for things transmuted into human subjectivity. His fiction, in its rather grim bravado, its humor, its morbidity, its wry but persistent hopefulness, matches the shape and tint of present American life. It pays the price, however, of becoming dangerously convoluted and static. A sense of composition is not among Salinger’s strengths, and even these two stories, so apparently complementary, distinctly jangle as components of one book. The Franny of “Zooey,” on the other hand, is Franny Glass, the youngest of the seven famous Glass children, all of whom have been in turn wondrously brilliant performers on a radio quiz program, “It’s a Wise Child.” Their parents, a distinctly unstandard combination of Jewish and Irish, are an old vaudeville team. From infancy on, Franny has been saturated by her two oldest brothers, Seymour and Buddy, in the religious wisdom of the East. “The Way of a Pilgrim,” far from being newly encountered at college, comes from Seymour’s desk, where it has been for years. One wonders how a girl raised in a home where Buddhism and crisis theology were table talk could have postponed her own crisis so long and, when it came, be so disarmed by it. At any rate, there is no question of her being pregnant; the very idea seems a violation of the awesome Glass ethereality. Lane Coutell, who for all his faults was at least a considerable man in the first Franny’s universe, is now just one of the remote millions coarse and foolish enough to be born outside the Glass family. The more Salinger writes about them, the more the seven Glass children melt indistinguishably together in an impossible radiance of personal beauty and intelligence. Franny is described thus: “Her skin was lovely, and her features were delicate and most distinctive. Her eyes were very nearly the same quite astonishing shade of blue as Zooey’s but were set farther apart, as a sister’s eyes no doubt should be.” Of Zooey, we are assured he has a “somewhat preposterous ability to quote, instantaneously and, usually, verbatim, almost anything he had ever read, or even listened to, with genuine interest.” The purpose of such sentences is surely not to particularize imaginary people but to instill in the reader a mood of blind worship, tinged with envy. In “Hoist High the Roof Beam, Carpenters” (the first and best of the Glass pieces: a magic and hilarious prose-poem with an enchanting end effect of mysterious clarity), Seymour defines sentimentality as giving “to a thing more tenderness than God gives to it.” This seems to me the nub of the trouble: Salinger loves the Glasses more than God loves them. He loves them too exclusively. Their invention has become a hermitage for him. He loves them to the detriment of artistic moderation. “Zooey” is just too long; there are too many cigarettes, too many god-damns, too much verbal ado about not quite enough. The author never rests from circling his creations, patting them fondly, slyly applauding. He robs the reader of the initiative upon which love must be given. Even in “Franny,” which is, strictly, pre-Glass, the writer seems less an unimpassioned observer than a spying beau vindictively feasting upon every detail of poor Lane Coutell’s gaucherie. Indeed, this impression of a second male being present is so strong that it amounts to a social shock when the author accompanies Franny into the ladies’ room of the restaurant. “Franny,” nevertheless, takes place in what is recognizably our world; in “Zooey” we move into a dream world whose zealously animated details only emphasize an essential unreality. … Not the least dismaying development of the Glass stories is the vehement editorializing on the obvious — television scripts are not generally good, not all section men are geniuses. Of course, the Glasses condemn the world only to condescend to it, to forgive it, in the end. Yet the pettishness of the condemnation diminishes the gallantry of the condescension. Perhaps these are hard words; they are made hard to write by the extravagant self-consciousness of Salinger’s later prose, wherein most of the objections one might raise are already raised. On the flap of this book jacket, he confesses, “There is a real-enough danger, I suppose, that sooner or later I’ll bog down, perhaps disappear entirely, in my own methods, locutions, and mannerisms. On the whole, though, I’m very hopeful.” Let me say, I am glad he is hopeful. I am one of those — to do some confessing of my own — for whom Salinger’s work dawned as something of a revelation. I expect that further revelations are to come. The Glass saga, as he has sketched it out, potentially contains great fiction. When all reservations have been entered, in the correctly unctuous and apprehensive tone, about the direction he has taken, it remains to acknowledge that it is a direction, and that the refusal to rest content, the willingness to risk excess on behalf of one’s obsessions, is what distinguishes artists from entertainers, and what makes some artists adventurers on behalf of us all. J. D. Salinger is unique among contemporary authors. Relative to his tiny output (one novel and two volumes of 11 short stories in 10 years), the attention he has received easily eclipses that given any other writer. College students across the land wean themselves on “The Catcher in the Rye” (as preparation for “The Naked Lunch,” one cynic suggested), and by latest estimate some 300 colleges have been badgered into adopting it as assigned reading. In sales, “Catcher” is rounding the 2-million mark; “Franny and Zooey” has led the best-seller lists since its publication last September, and shows no signs of stepping down. “Franny and Zooey”—for those who have been vacationing at Cape Canaveral—consists of two loosely related stories, published in the New Yorker in 1955 and 1957, concerning the moral crisis of Franny Glass. It is a measure of the power of these stories that we do not go to sleep. Indeed, one is left startlingly awake; even the lists of things in pockets and medicine cabinets have not lulled. Salinger’s remarkable ear for dialogue and his even more remarkable ability to transmit a sense of presence have often been noted: the stories seem, urgently, to be happening right now, and almost inside of us. Critics have also pointed out (and none more gracefully than John Updike) some of the deficiencies of “Franny and Zooey” —the self-effacing and embarrassing coyness, the name-dropping, the adoration of certain characters and abhorrence of others, even the crust it supposedly took to publish such a slender volume. One, Harvey Swados, has suggested that Salinger’s fame derives from his willful physical isolation; Swados calls him “the Greta Garbo of American letters.” But pro or con, few have found the Glass saga less than fascinating. One of the fascinations of “Franny and Zooey” —and I submit that it is also at the core of the book’s artistic failure—is the inseparableness of the author from his work, the deliberate confusion of who is who, and who is real. It is not only Salinger’s conceit that Buddy Glass directed the “home movie,” “Zooey,” but that Salinger, himself, is a myth. Sitting in his concrete bunker in Cornish, New Hampshire, Salinger writes on the jacket of “Franny and Zooey” that he lives in Westport with his dog—a joke that insiders like the Glasses can snicker over. Thus the jacket copy becomes part of the saga—and the worth of the saga becomes partly determined by one’s appraisal of the joke. There is nothing in Salinger that isn’t circular. In “Seymour: An Introduction,” Buddy Glass, its “author,’ disowns not only “A Perfect Day for Bananafish” (which was officially by “J. D. Salinger”) “as having been written on an old defective typewriter,” but “Teddy” as well—a story once presumed outside the Glass canon. In some future story Buddy Glass may well disown the jacket copy of “Franny and Zooey” —or J. D. Salinger may well disown Buddy Glass and claim the whole thing is really by Holden Caufield or, perhaps, D. T. Suzuki. In a crucial sense, then, the Salinger-Glass epic is a detective story in which the necessary clues are deliberately withheld. They are not withheld, one feels, out of aesthetic necessity, but out of irresponsibility. It is perhaps inevitable, then, that when we enter the world of the Glasses, we enter a fantastical world of self-absorption—at once incestuous and sweetly narcissistic, sentimental, cloying, above all, childish. It is the world of the self-indulgent who think they are exceptionally bright when they are only bright, and that their embarrassment at being so only proves it—a world in which mannerism is mistaken for charm and problems of morale are rarified into problems of morality. Franny’s problem is how to grow up. She is a nice girl, and one wishes her success. But as her problem is similar, in an artistic sense at least, to her creator’s, I do not feel, like Dr. Salinger, very hopeful. When J.D. Salinger’s “Hapworth 26, 1924″—a very long and very strange story in the form of a letter from camp written by Seymour Glass when he was seven—appeared in The New Yorker in June 1965, it was greeted with unhappy, even embarrassed silence. It seemed to confirm the growing critical consensus that Salinger was going to hell in a handbasket. By the late Fifties, when the stories “Franny” and “Zooey” and “Raise High the Roof-Beam, Carpenters” were coming out in the magazine, Salinger was no longer the universally beloved author of The Catcher in the Rye; he was now the seriously annoying creator of the Glass family. Today “Zooey” does not seem too long, and is arguably Salinger’s masterpiece. Rereading it and its companion piece “Franny” is no less rewarding than rereading The Great Gatsby. It remains brilliant and is in no essential sense dated. It is the contemporary criticism that has dated. Like the contemporary criticism of Olympia, for example, which jeered at Manet for his crude indecency, or that of War and Peace, which condescended to Tolstoy for the inept “shapelessness” of the novel, it now seems magnificently misguided. However—as T.J. Clark and Gary Saul Morson have shown in their respective exemplary studies of Manet and Tolstoy—negative contemporary criticism of a masterpiece can be helpful to later critics, acting as a kind of radar that picks up the ping of the work’s originality. The “mistakes” and “excesses” that early critics complain of are often precisely the innovations that have given the work its power. In the case of Salinger’s critics, it is their extraordinary rage against the Glasses that points us toward Salinger’s innovations. I don’t know of any other case where literary characters have aroused such animosity, and where a writer of fiction has been so severely censured for failing to understand the offensiveness of his creations. In fact, Salinger understood the offensiveness of his creations perfectly well. “Zooey”‘s narrator, Buddy Glass, wryly cites the view of some of the listeners to the quiz show It’s a Wise Child, on which all the Glass children had appeared in turn, “that the Glasses were a bunch of insufferably ‘superior’ little bastards that should have been drowned or gassed at birth.” The seven-year-old letter-writer in “Hapworth” reports that “I have been trying like hell since our arrival to leave a wide margin for human ill-will, fear, jealousy, and gnawing dislike of the uncommonplace.” Throughout the Glass stories—as well as in Catcher—Salinger presents his abnormal heroes in the context of the normal world’s dislike and fear of them. These works are fables of otherness—versions of Kafka’s “Metamorphosis.” However, Salinger’s design is not as easy to make out as Kafka’s. His Gregor Samsas are not overtly disgusting and threatening; they have retained their human shape and speech and are even, in the case of Franny and Zooey, preternaturally good-looking. Nor is his vision unrelentingly tragic; it characteristically oscillates between the tragic and the comic. But with the possible exception of the older daughter, Boo Boo, who grew up to become a suburban wife and mother, none of the Glass children is able to live comfortably in the world. They are out of place. They might as well be large insects. The critics’ aversion points us toward their underlying freakishness, and toward Salinger’s own literary deviance and irony. Ten years before the “interminable” and “shapeless” “Zooey” appeared in The New Yorker, a very short and well-made story called “A Perfect Day for Bananafish” appeared there, and traced the last few hours in the life of a young man who kills himself in the story’s last sentence by putting a revolver to his temple. At the time, readers had no inkling that Seymour Glass—as the young man was called—would become a famous literary character, and that this was anything but a self-contained story about a suicidal depressive and his staggeringly shallow and unhelpful wife, Muriel. It is only in retrospect that we can see that the story is a kind of miniature and somewhat oversharp version of the allegory that the Glass family stories would enact. …In “Zooey,” at the Glass apartment, the drama of food continues, as the daughter continues to refuse to eat. As in “Metamorphosis” (and in its pendant “The Hunger Artist”), the person who is other, the misfit, is unable to eat the food normal people eat. He finds it repellent. Kafka’s heroes die of their revulsion, as does Salinger’s hero Seymour. (Though Seymour shoots himself, there is a suggestion that he, too, must be some sort of hunger artist. When he is on the beach with the little girl he tells her a cautionary tale about underwater creatures called bananafish, who crawl into holes where they gorge themselves on bananas and get so enlarged that they cannot get out again, and die.) In “Zooey,” Franny is pulled back from the brink by her brother. The story has some of the atmosphere of the Greek myths about return from the underworld and the Bible stories in which dead children are resurrected. “Neither you nor Buddy knows how to talk to people you don’t like. Don’t love, really,” Bessie Glass tells Zooey. She adds, “You can’t live in the world with such strong likes and dislikes.” But Buddy and Zooey do, in fact, live in the world, if uncomfortably. Buddy is a college teacher, Zooey a television actor. They have passed through crises like Franny’s. They are misfits—Mary McCarthy will always be cross with them—but they are not Seymours. They will live. Now the job at hand is to bring Franny out of her dangerous state of disgust. As she lies fitfully sleeping in the Glass living room on a Monday morning, the mother urges the son to get going with the rescue mission. The conversation takes place in a bathroom. Zooey is in the bathtub with a shower curtain drawn decorously around him—a red nylon shower curtain with canary yellow sharps, flats, and clefs printed on it—and the mother is sitting on the toilet seat. (The influence of the story’s genteel first publisher, William Shawn, may be adduced from the fact that Salinger never comes right out and says where the mother is sitting.) Both are smoking. In his essay on Salinger, Kazin writes with heavy irony, “Someday there will be learned theses on The Use of the Ash Tray in J.D. Salinger’s Stories; no other writer has made so much of Americans lighting up, reaching for the ash tray, setting up the ash tray with one hand while with the other they reach for a ringing telephone.” Kazin’s observation is true, but his irony is misplaced. The smoking in Salinger is well worth tracking. There is nothing idle or random about the cigarettes and cigars that appear in his stories, or with the characters’ dealings with them. In “Raise High the Roof-Beam, Carpenters,” Salinger achieves a brilliant effect with the lighting of a cigar that has been held unlit by a small old deaf-mute man during the first ninety pages of the story; and in “Zooey” another cigar is instrumental in the dawning of a recognition. The cigarettes that the mother and son smoke in the bathroom play less noticeable but no less noteworthy roles in the progress of the story. Like the food in “Franny,” the cigarettes in “Zooey” enact a kind of parallel plot. Cigarettes offer the writer (or used to offer) a great range of metaphoric possibilities. They have lives and deaths. They glow and they turn to ashes. They need attention. They create smoke. They make a mess. As we listen to Bessie Glass and Zooey talk, we follow the fortunes of their cigarettes. Some of them go out for lack of attention. Others threaten to burn the smoker’s fingers. Our sense of the mother and son’s aliveness, and of the life-and-death character of their discussion, is heightened by the perpetual presence of these inanimate yet animatable objects. …Salinger’s refusal to be an American Jewish writer writing about Jews in America is impossible to fully sort out, of course, given Salinger’s reticence; we can only assume that it exists. But the refusal itself is what is significant. Geismar is acute to note it—but obtuse, I think, to condemn it. The “void” of which he speaks is a defining condition of Salinger’s art. The preternatural vividness of Salinger’s characters, our feeling that we have already met them, that they are portraits directly drawn from New York life, is an illusion. Salinger’s references to Central Park and Madison Avenue and Bonwit Teller, and the Manhattanish cadences of his characters’ speech, are like the false leads that give a detective story its suspense. In Salinger’s fiction we never really quite know where we are even as we constantly bump up against familiar landmarks. The Catcher in the Rye, though putatively set in an alien nighttime New York, evokes the familiar terrifying dark forest of fairy tales, through which the hero blunders until dawn. Near the end of “Zooey,” its hero picks up a glass paperweight from his mother’s desk, and shakes it to create a snowstorm around the snowman with a stovepipe hat within. So, we might say, Salinger creates the storms that whirl around his characters’ heads in the close, hermetically sealed world in which they live. Bessie is a stout, middle-aged woman dressed in a garment Buddy calls her “pre-notification of death uniform”—a midnight blue Japanese kimono, whose pockets are stuffed with things like screws, nails, hinges, faucet handles, and ball-bearing casters, along with several packs of king-size cigarettes and matches, and who is as unlike the other women in her “not unfashionable” apartment building as her children are unlike the other people in the world at large. The other women in the building own fur coats and, like Muriel and her mother, spend their days shopping at Bonwit Teller and Saks Fifth Avenue. Bessie “looked, first, as if she never, never left the building at all, but that if she did she would be wearing a dark shawl and she would be going in the direction of O’Connell Street, there to claim the body of one of her half-Irish, half-Jewish sons, who, through some clerical error, had just been shot dead by the Black and Tans.” At the same time, her way of holding a cigarette between the ends of two fingers. Salinger’s own perilous journey away from the world has brought many misfortunes down on his head. His modest wish for privacy was perceived as a provocation, and met with hostility much like the hostility toward the Glasses. Eventually it offered an irresistible opportunity for commercial exploitation. French is quite hard on Salinger, and his characters, stating, “[t]o whatever subgenre “Zooey” might be assigned, it is terribly hard to take when the market for cinema-verité soul searching has been overexploited. Can anyone pick up this morality play today and plow through it with enthusiasm generated by the title character’s harangues?” (96) He also chides Salinger for not being brave enough to demonstrate the same kind of integrity with respect to his fiction that Woody Allen carefully maintains with his films. French also writes, “[t]wenty five years ago… I wrote that the longer I contemplate “Franny and Zooey,” the more certain I feel that the public has been right in its enthusiastic reception of the book’s general “message” about the advisability of improving one’s self rather than criticizing others and that the reviewers have been right in their reservations about the craftsmanship of the presentation.” (97) He rehashes many of Alsen’s theories about the novella and his only truly interesting contribution actually concerns the relation of William Wyler’s films to “Raise High the Roofbeam Carpenters,” which he briefly discusses in relation to Updike’s review. Noting that scholars such as Alsen have looked for influences in Hinduism, Taoism, Zen, and Christianity, which may distract from what is distinctive about Salinger’s own vision, Bidney sets out to find aesthetic patterns, which indicate, what he calls Salinger’s “epiphanic pattern.” Bidney suggests that these moments of epiphany are largely nonsectarian, (citing the text) noting that Zooey says this at one point. His guiding assumption is that “epiphanies produced by any given writer will manifest a pattern unique to that writer.” Bidney further defines what he means by epiphany to include a moment in a literary work that affects the reader and is “intense,” “expansive in meaning,” and “mysterious.” Using the work of French phenomenologist Gaston Bachelard, he identifies literary epiphanies as consisting of three basic literary components, “elements” (in the ancient sense, ie. earth, water, fire, etc. ), “patterns of motion,” and “shapes.” Though he fails to fully explain Bachelard’s theories, he provides a convincing argument about the structure of epiphanies in Salinger’s work. He says that Salinger uses the elements of earth, water, and air, but that fire is usually absent. He also notes that Salinger’s preferred motion motif varies, but very often includes the “frustrating disappearance of an object that the observer tries in vain to follow with his or her eyes; or else the sudden, happy reappearance of an object that the observer thought was lost,” this he likens to Freud’s notion of fort-da. Bidney also notes that these epiphanies are generally painterly or poetic and that Salinger’s preferred shape is the circle. Most importantly, Bidney derives psychological implications from these epiphanies, including “the absence of actual fire” (which he suggests marks a lack of adult passions), “the predominance of children” (which he links with nostalgia), and the association of the seer’s death with a disappearing woman (perhaps alluding to deep desire for the Mother figure). Zooey’s view of the little girl with her dog walking around the maple tree and his recollection of Buddy’s suggestion about a dying man helping a woman over a hill are among the most important epiphanic moments that Bidney examines. a. Obviously much of what is going here is referred to by Buddy himself as a refusal to acknowledge Seymour’s death. Seeing his name in print (even if in just the phonebook) is a reaffirmation that he is never truly lost. But this takes on additional symbolic meaning to me in two ways. First, Buddy states in “Raise High the Roofbeam Carpenters” that Seymour was a poet. Since we don’t see evidence of Seymour fulfilling this role in life, the printed name, seems to me at least, to be Buddy’s way of fulfilling this role in Seymour’s absence, but since his own talents in this area are less substantial the printed recognition of Seymour in the telephone directory acts as a stand-in for a non-published Seymour. Secondly, it seems to me that it is not a locker, or a membership or even a safe-deposit box, but a telephone. On some level this has to be a reminder of the fact that the family can let go of Seymour physically but never wants to lose the ability to communicate with him. a.	I have no idea about this. If I were to take a stab at it, from a very rational, non-literary point of view, I’d suggest it is because he is the youngest and seemingly least entwined with Seymour. Besides good actors seldom make good poets (the reverse is also often true). a.	I see this as a commentary on New York style which is often associated with the transitory and the superficial. Because there is so much of it, anything different, even that which is not aesthetically pleasing, becomes refreshing. 4. What do you make of the dynamics between Zooey and Bessie? Why is he so rude to her at times? a. Clearly, Bessie stopped being a mother figure to her children long ago. Though she still has the mothering role of worrying about them and their lives. Their early success and independence have supplanted her ability to occupy the role with any real authority. 5. Why doesn’t Buddy kill himself? a. Buddy is the Salinger that Salinger can’t kill. In killing Seymour, Salinger has killed an idealized version of himself. But he is unable to kill, perhaps unable to contain Buddy, the logorrheic, wannabe whose hatred of academics stems from his own failures (or at least lesser ability). As Salinger strives for Zen-like perfection he realizes the need to cast off the idealized vision, but never makes it to the next step of killing off or at least changing Buddy. a. Psychologically, I am sure there is some Freudian Oedipal thing going on here as this scene concentrates so much on the Bessie and Zooey relationship. Beyond that, I’d say it says a good deal about the role of women at the time.